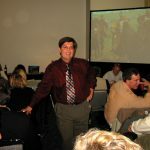 Like you, tourism expert and marketing author “Tourism Tim” Warren has seen the phrase tourism marketing defined numerous ways over the years. Is it branding and positioning? Advertising or memorable commercials? A solid plan? The number of social media followers? Something you know you should do, but confusing for most? Or, is it really something far more simple? With almost 25 years of consulting, training, and most importantly, real-life, in-the-trenches global tourism business operations experience, his views are radically different. Tim appreciates, and guides his listeners, that tourism marketing is a path of service, and not about some impersonal plan or position run by someone else. Tourism marketing is for everyone, every day. It’s how we should operate any type of tourism, travel, or hospitality business or destination. 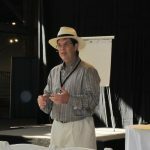 Tim, is truly the “One-Minute Marketing Expert” for his ability to inspire and connect a group with “Aha moments” that improve bookings. Clients and followers know him for his practical, no BS street-savvy style; “Tourism Tim’s” fusion of real-life stories and his practical tools empower his audience with fast and easy on and off-line marketing tactics they can apply tomorrow, no matter what size operation. Even if you are a tech dunce. 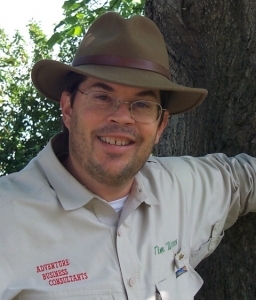 Tim has served as president of Travel Business Success and Adventure Business Consultants since 1994. He holds Master’s level expertise and continues to work with the best and the brightest helping global stakeholders plan, start and grow their business, lodge or destination dream. 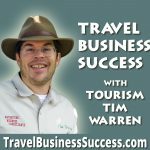 Tim is author of Tourism Marketing Success and host of Travel Business Success Radio Podcast and Tourism marketing TV which has inspired tens of thousands worldwide. Over 25 years of hands-on expertise in active experiential tourism: adventure travel, ecotourism & nature travel.